Ants tending to Scale Insects, a photo by Roberto_Aloi on Flickr. 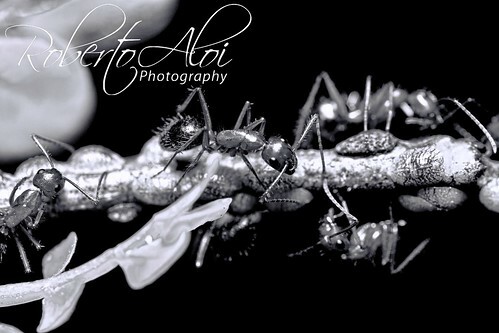 Took this photograph last weekend of ants tending to scale insects. These ants indirectly contribute to crop damage by protecting pests like the ones pictured here; I mostly observe them tending to aphids. 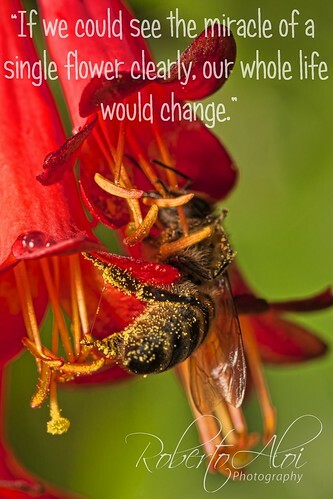 In return for this protection, the ants feed off the honeydew secreted by the plant parasites. Bee in Flower, a photo by Roberto_Aloi on Flickr. 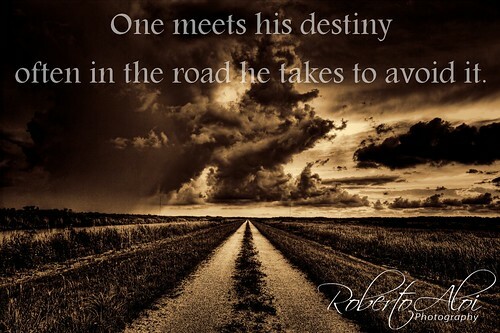 One meets his destiny often in the road he takes to avoid it., a photo by Roberto_Aloi on Flickr. 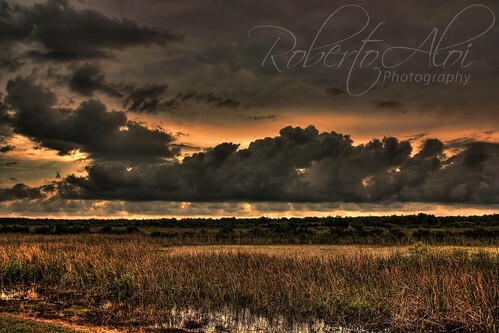 Loxahatchee National Wildlife Refuge., a photo by Roberto_Aloi on Flickr. Photographed tonight. I anticipas the water. If you looked to the lower left you can see the wall of water coming down in the distance. Toted clouds, but not this. This is a departure from my typical vantage point facing west toward my left was infrequent lightning I was unable to capture. Enjoy! Photographed tonight. 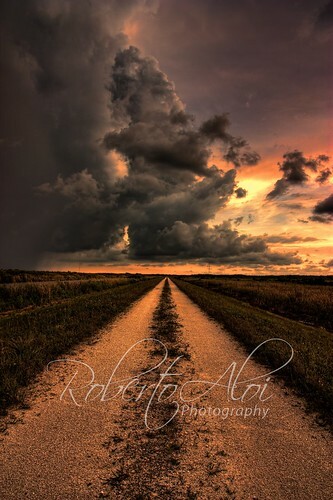 I anticipated clouds, but not this. This is a departure from my typical vantage point facing west towards the water. Enjoy! Propaganda 5/2/13, a photo by Roberto_Aloi on Flickr. 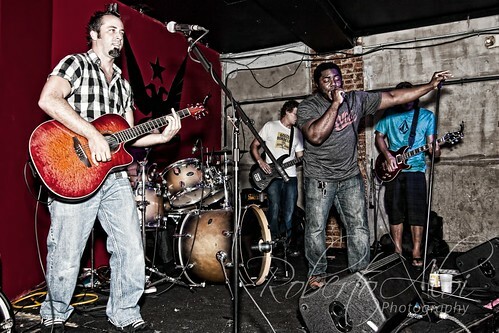 Another awesome night at Prop featuring my friend Mykal Lee Morrison’s band and owner Jon Jordan’s birthday celebration! Mykal and Jon were feeding me gin and miscellaneous shots. I don’t know how I managed to take any pictures!